Locality and Period: Connecticut. c. 1640-60. Wainscot chairs were among the first American chairs; in fact, the few documented examples were made by the first settlers from England. 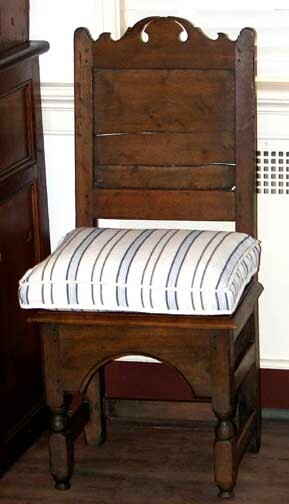 Though based on 16th-century English models, early American Wainscot chairs were surprisingly varied. Some examples were elaborately carved like the elegant English models, while others were quite simple.